408 pages | 5 B/W Illus. Once treated as the absence of knowledge, ignorance today has become a highly influential topic in its own right, commanding growing attention across the natural and social sciences where a wide range of scholars have begun to explore the social life and political issues involved in the distribution and strategic use of not knowing. The field is growing fast and this handbook reflects this interdisciplinary field of study by drawing contributions from economics, sociology, history, philosophy, cultural studies, anthropology, feminist studies, and related fields in order to serve as a seminal guide to the political, legal and social uses of ignorance in social and political life. 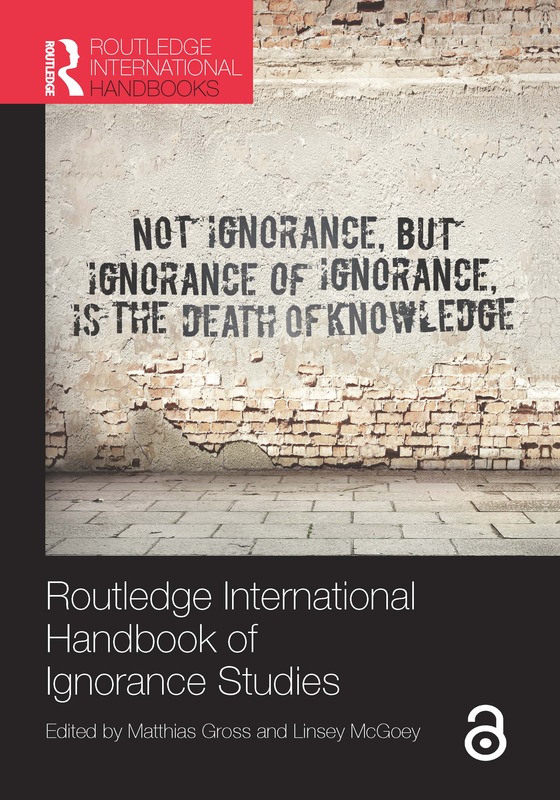 "[This handbook] contributes with bravura to the rehabilitation of the field of ignorance studies, and it helps to respond to Karl Weick’s (1998) suggestion to organizations and their administrators: ‘in lieu of seeking more knowledge, organizations should be defined by what they ignore’." Miguel Pina e Cunha, Prometheus: Critical Studies in Innovation, 33:3,pp. 330-334, August 2016. Matthias Gross is full professor in the Institute of Sociology, University of Jena and, by joint appointment, at Helmholtz Centre for Environmental Research – UFZ, Leipzig, Germany. His research focusses on the sociology of energy, risk and ignorance, and experimental practices in science and society. His most recent monograph is Renewable Energies (with R. Mautz, 2014, Routledge). Linsey McGoey is Senior Lecturer in Sociology at the University of Essex. Recent articles appear in the British Journal of Sociology, History of the Human Sciences, and Economy and Society. She is editor of An Introduction to the Sociology of Ignorance: Essays on the Limits of Knowing (Routledge, 2014).